A Federal U.S. judge of the Eastern district of new York, Jack Weinstein (Jack Weinstein) ruled that cryptocurrency should be treated as commodities. As such, they may be regulated by the Commission commodity futures U.S. (CFTC). The decision of the district judge will set a precedent, as this is the first case where the court upheld the CFTC’s statement that cryptocurrencies fall within the scope of responsibility of the regulator. “The CFTC believes that bitcoin and other virtual currencies are a commodity covered by the act of stock trading,” — said in a statement published in 2015. In this particular case, the district judge ruled that the CFTC has the right to sue for fraud against a resident of new York Patrick McDonnell (McDonnell, Kerry Patrick) and his company Coin Drop Markets (CDM). In its lawsuit, the CFTC said that from January 2017, McDonnell and company deception offered clients advice on trading virtual currency. In fact, according to the Agency, the clients never received Council, for which they paid, and CDM has never been reported in the CFTC. The regulator added that McDonnell closed the web site of the company and ceased to answer requests of customers. As a result, Weinstein issued a preliminary injunction against the defendant, which does not allow the CDM to further entrepreneurial activity. But more importantly, the district judge supported the statement made by CFTC 2015, noting that the Commission has wide latitude in interpreting Federal law governing products. We will remind, earlier the Chairman of the CFTC George. Christopher Giancarlo (J. Christopher Giancarlo) admitted that cryptocurrency is not like anything, the regulator has faced before. The regulation of crypto-currency assets is still at an early stage, but the CFTC jointly with the securities Commission and exchange Commission (SEC) recently announced increased oversight of this market. The developers of the Protocol SegWit2x issued a statement on the suspension of its plans to conduct a hard forks in the network due to the lack of consensus in the bitcoin community. “Unfortunately, it is clear that we have not created enough clear modernization of blocks during this time. The continuation of the current path can divide a community and impede the growth of Bitcoin. It was never a goal SegWit2x,” — said in a statement. The developers of the Protocol were reminded that their goal was to increase the block size to 2 MB, and improving network scalability. The first phase of updates — SegWit was successfully activated in August. The team hopes that the bitcoin community will come together and find the solution to increase network bandwidth. And while they thanked everyone — opponents and supporters of SegWit2x — made constructive contributions. “Bitcoin remains the greatest form of money ever seen to mankind. And we remain committed to protect and promote its growth worldwide,” concluded the authors. Signed: project Manager Mike Balch (Mike Belshe), Wences Casares (Wences Casares), JI Han At (Jihan Wu), Jeff garzik’s (Jeff Garzik), Peter Smith (Peter Smith) and Eric Voris (Erik Voorhees). Who is to blame and how to survive crypto winter? 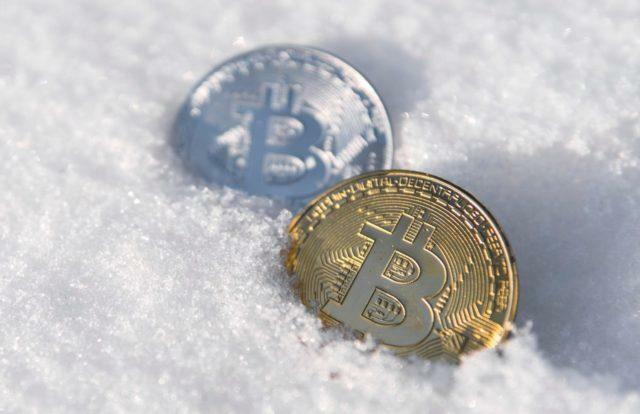 With the onset of the winter calendar in the cryptocurrency industry, it is their cold season. «Crypto-» winter came gradually, and it turns out that this phenomenon is to blame. The cryptocurrency course, despite the many positive predictions of the experts, as and street the thermometer began to show a downward trend. Who made price reduction of digital assets and how to survive minus figures? For fever, which is now the whole cryptocurrency industry, responsible users themselves and those who see in bitcoin and other coins are just a way to earn. About this in his column columnists wrote expert Coindesk Michael Casey. He told a story about his friend who «at every step of handing out coins to anybody» and thus promoted the cryptocurrency. The problem lies in the fact that comrade Casey talked about digital money as a way to get rich, not to make smooth and fast transactions. «Everything was good, but my friend boasted that crypto-asset in its dollar terms had previously cost much less than now. He said: “You can be rich like me.” Such statements establish a more speculative behavior. And my friend didn’t mention about the main thing that bitcoin has the potential for making smooth payments between users and financial institutions on favorable terms,» writes Casey. Mania earnings, according to the expert, created imaginary crypto-enthusiasts who contributed to the revival of blind faith called «earn cryptocurrency». «Remember, there was a time when the leaders of the iced tea manufacturer has demonstrated that it is possible to obtain a wonderful increase in the stock price simply by adding the word «blockchain» in the name of the company,» says Casey. For example, a new York firm for the production of drinks Long Island Iced Tea in 2017 renamed to Long Blockchain Corporation. Despite the fact that the company did not have any relation to cryptocurrency and blockchain technology, the wave of hype their stock soared nearly 500%. As a result, the manufacturer is interested in SEC and begin your investigation. Now that the bubble has burst, it is time to get rid of incorrect opinions about the cryptocurrency, after all, go on a new stage of development, I’m sure the columnist Coindesk. Also, you need to stop and consider that cryptocurrency for the rich. «I’m still confident that this technology was created as a tool for people. So the blockchain can be a successful technology with widespread adaptation. I don’t care how it happens — whether it’s widespread use in the retail trade or the use of a firewall public architectural blocks to create a new, decentralized economy — the goal should be to have a positive impact on life everywhere,» says Casey. How to survive a crypto winter? The unequivocal answer, as the exact forecast of the cryptocurrency course in the near future, no. Frustrated users in the value of a currency expressed in different forms. Negative attitude to bitcoin has emerged in the beginning of 2018, when they began to receive informational messages about what the next project with ICO collected the necessary sum for development and after not implemented their ideas. And then, when the rate of most digital assets began to fall, some members of the crypto community began to convert its investment in Fiat. In schemes Panov and dumps were disappointed not only individual investors with small investments, but also a well-known business angels. So, in early November, a significant private venture investor, which provided financial and expert support of projects of Yan ning, published a post on WeChat (later the text was removed), where he declared his withdrawal from the Chinese crypto sector. «I am very pleased to leave tryptomer, which is filled with liars and players. I was going to go quietly, but that did not happen, because I had to go against the whole community. I deleted all chats and contacts from cryptomeria because he had lost confidence in the concept of decentralized blockchain. It can grow only in the centralised structure of the laws. The last time I comment on his decision,» said ning, who in January 2018 launched its project Commerce Data Connection. Most digital assets show decline. In particular, bitcoin, which cost 5 Dec 2017, more than $11,000 at the time of writing is trading around $4000. The decline of bitcoin over the span of 12 months amounted to around 67%. However, other coins are less noticeable during the high value of bitcoin, show a positive trend. Founder of Digital Currency Group is Barry Silbert believes that the market decline is a great opportunity to purchase a new crypto-assets. He bought ETC, ZEC, MANA and ZEN. In the green corridor is Binance Coin (BNB). An increase of 20% probably happened due to the fact that the exchange Binance, which owns the token BNB announced the imminent launch of its blockchain and decentralized trading platforms. In addition, the founder of shopping site Chanpen Zhao after dinner, one of the founders of CoinMarketCap got a tattoo with the logo of Binance. It inspired traders, which increased the cost of BNB. Another coin showed an increase, is Waves — plus 30% on 5 December. But these figures are not maximum, because FREE Coin, for example, soared by 240%. A coin Factom soared almost 40% after the listing on Coincheck. The inclusion of new digital assets, analysts say, on the background of the drop of bitcoin will strengthen the company Panov multiple altcoins. As repeatedly stated by professional traders, you need to be able to benefit with falling, with a growing market. You need to know the basics of trading on cryptocurrency exchanges. In addition, it is important to ignore the negativity that is currently present in the cryptocurrency industry, and to focus not on the value of the coins on the blockchain technology. For example, Ethereum co-founder Joseph Lubin stated that the value of cryptocurrency does not reflect the value of the blockchain. «The blockchain is much more than the modern market. Capitalization does not reflect the real value of the cryptocurrency platform. In Ethereum was 48 million unique addresses and is running 12,000 new node. A decentralized network is growing rapidly,» says Lubin. American startup Rare Bits, developing the idea of the auction for collectibles and rare scriptactive, raised $6 million investment in funding round series A, led by Spark Capital company. Investors have also become a startup venture capital company First Round Capital, Craft Ventures, SV Angel, and several individuals, including the founders of Twitch Emmett Sher (Emmet Shear) and Justin Kan (Justin Kan) and former executives Dropbox Sanghvi Ruchi (Ruchi Sanghvi) and Agrawal of Aditya (Aditya Agrawal). Platform based on the Ethereum began work in February of this year and for the first month earned on transactions over $100 thousand. At the moment, on the Rare Bits placed more than 500 thousand collectible items from different games, including CryptoPunks, Ether Tulips, CryptoBots, CryptoFighters, Mythereum and CryptoCelebrities. The funds raised will go to the expansion of the company and offers cryptocurrency of collectables as well as rare scriptaction. As explains one of the founders of the project Amitt Mahajan (Amitt Mahajan), was initially considered the idea of launching its own games on the blockchain, but the platform trade cryptocommunist was more promising solution. In the future, the project plans to expand the list of items submitted licenses, tickets, rights and licenzirovanie physical goods. And soon celebrities from YouTube, Twitch and Instagram can create on the platform of their scriptcollection. All this is done in order to convince users to actively become owners of scriptactive and to trade them. Recall that the application CryptoKitties where you can breed, collect, and share kittens with 256-bit genetic code, was launched in November 2017. Two weeks after the launch of the platform was CryptoKitties transactions worth more than $12 million By the end of 2017, the game started to lose popularity, and many players have lost interest in it. In January, the network appeared the new game CryptoCelebrities in which users can buy “contracts” with celebrities. As in the case of “cryptocotyle”, it allows you to buy and sell virtual celebrities for Ethereum. While China collectors collect “cryptozoic” in a game built on a separate block chain Achain. The company LendEDU shared the results of a study investigating the current attitudes and expectations of the owners of Bitcoin. In the survey LendEDU participated 564 U.S. resident who bought bitcoins. Of these, nearly 40% said that they have invested in Bitcoin because I think it was «changing the world with technology». 21% of respondents bought bitcoins because it’s «long term store of value like gold and silver», and 15% purchased the cryptocurrency for the recommendation of a friend or loved one. While 14% of respondents bought BTC because the price was «too low», and only 8% planned to use it as a means of payment. The survey was also the question of at what price the respondents are willing to sell their savings. The average amount was $196 165,79 per unit. At the moment BTC is traded at the rate of about $7860. Overall, many respondents do not plan to get rid of their bitcoins in the near future. It is noteworthy that 32,62% of the respondents had parted with a portion of previously acquired bitcoins. The majority of the holders 67,38% have not sold a single coin. On average, investors own bitcoins in an amount not to exceed $3000. 16.5% of respondents plan to sell the cryptocurrency for the year and $20 are going to keep it for at least seven years. Another important result: about 64,13% plan to report or already has reported its bitcoin transactions to the IRS. The remaining of 35.87% do not intend to do so. Recall that according to the results of the previous survey LendEDU conducted in September, young people aged 18-34 years is willing to invest in bitcoin than older age groups. ForkLog previously reported that the price of Ethereum fell to values of may last year. The Commission on securities and exchange Commission (SEC) fined $50 thousand CoinAlpha Fund Advisors LLC for the sale of unregistered securities. This was reported on the website of the Department. The document States that the Fund is to invest in scriptactive was established in October last year. The company managed to raise funds of $600 thousand. CoinAlpha operates without proper registration. Also, the Fund did not comply with KYC procedures for verifying that investors are accredited. Subsequently CoinAlpha hired specialized in KYC — procedures a third party company, however this was done after the SEC contacted her. The document also notes that CoinAlpha return all funds to investors. «Only 22 investor invested $608 491 to the Fund. In October 2018, after representatives of the Commission contacted CoinAlpha, the Fund was closed», — noted in SEC. It is noteworthy that due to cooperation with the Agency, the SEC limited only by the sanctions that have been agreed with CoinAlpha in advance. In particular, the company undertook not to violate future securities laws. Also, in addition to the requirement about return of means to investors, at CoinAlpha was fined $50 thousand. Earlier, the SEC similar measures adopted in relation to the ICO startups Airfox and Paragon, as well as a decentralized exchange EtherDelta. Because the companies cooperated with the regulator, they managed to get off relatively mild punishments. Head of technical analysis and strategy of the company Fundstrat Global Advisors Robert Sluymer (Robert Sluymer) believes that bitcoin is at a critical stage and needs to hold the current price level to avoid a sudden fall. According to CoinMarketCap, today’s leading cryptocurrency is trading at a price of $7422 per unit. Sluimer draws attention to the fact that, according to technical analysis of the market situation, bitcoin is back again to the key support level, which was already in June and mid-July. In addition, the analyst notes that the relative strength index (RSI) of bitcoin suggests that it the market is overextended. Sluimer believes that at the moment to buy bitcoin is from the perspective of a long position, but with caution because there is the possibility of a sharp fall to the level of $6,000. The head of the Department’s digital assets company Susquehanna Bart smit (Bart Smith) calls the next line of resistance for the bitcoin level of $6800. Recall that in July the managing partner of Fundstrat Global Advisors Tom Lee (Tom Lee) has lowered the forecast of prices of bitcoin from $25 thousand to $22 thousand by the end of 2018. Venezuelan President Nicolas Maduro (Nicolas Maduro) ordered several large companies in the country carry out some transactions using national cryptocurrencies El Petro, which sales volume for the first day of pre-sales reached $735 million. This requirement applies to oil company PDVSA, petrochemical company Petroquimica de Venezuela (Pequiven) and the Corporation CVG, which is engaged in development of minerals. In addition, El Petro is now possible to pay for consular services of the embassies of Venezuela around the world, fuel for planes, hotels, and travel services. Recall, several US senators believe that running El Petro Venezuela received support from Russia and China, and Maduro can use the cryptocurrency to create a mechanism to bypass the US sanctions. A number of publications report that the Bank of Indonesia stated that it did not consider bitcoin a means of payment. This statement, according to media reports, led to the fact that the local cryptocurrency platform Toko Bitcoin and Bitbayer on their own initiative ceased operations in this area. However, cryptocurrency exchanges continued to operate as usual. Bitbayer will leave the market on 1 November, giving customers until the end of the month to withdraw funds. Toko Bitcoin, which provided customers the ability to buy bitcoins phones with prepaid subscription and vouchers for electricity will no longer accept cryptocurrency. Website Toko Bitcoin is already not available to users. According Cryptocompare, a market of bitcoin is the tenth largest in the world, with daily trading volume, the overall volume of transactions with bitcoin in Indonesia is only 0.18% of world trading volume. Recall that in September the Central Bank of Namibia has published a research note in which encourages users to exercise caution in the handling of cryptocurrencies, which considers illegal payment means. And the Mexican Parliament said that “All those wishing to engage in the purchase or sale of bitcoins in Mexico, you need to keep in mind that this currency is not recognized and is not supported neither the Federal Government nor the Central Bank of Mexico (Banxico), and is not legal tender”.